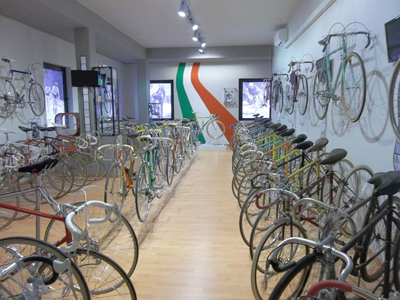 Welcome to "Italian Legend Bicycles", the cultural association born from the passionfor cycling and vintage bicycles by its founders. This passion along with the competences related to the restoration of vintage bikesand their components has led to the search and selection of the most beautifulracing bicycles from the early twentieth century until 1985. 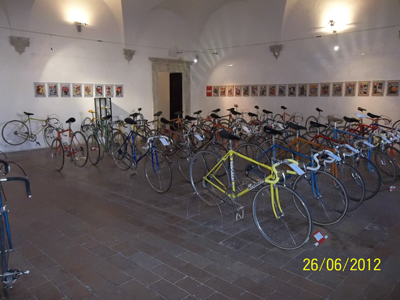 After an accurate and careful renovation work of every single bike, the entire collection is now for the first time exposed to the public permanently in PESARO. 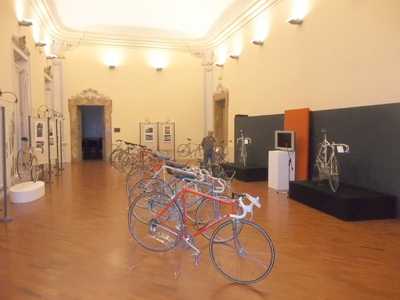 At the "Italian Legend Bicycles" it is possible to admire more than 100 vintage bicycles, their evolution and development of components from the early years of the twentieth century. "Italian Legend Bicycles" tells the story of the greatest Italian frame builders and cycling champions. Each bike has its own story to be told and holds great memories of old times, when advantages were calculated in hours and the bicycles were made of iron and steel. The meaning of the word legend is in fact "stories that shall be told". 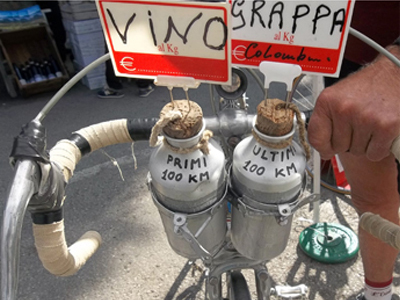 There are bicycles which led to victory champions such as Gerbi, Girardengo, Binda, Guerra, Bartali, Coppi, Magni, Adorni, Gimondi, Motta, Merckx, Maertens, Hinault, Saronni and Moser. 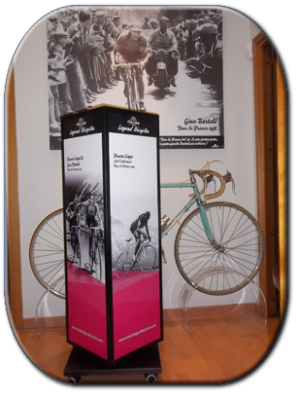 In these rich vintage exhibition you can look up to the steel frames that the main Italian manufacturers like Bianchi, Cinelli, Colnago, De Rosa, Masi, Marastoni, Pinarello,Rossin have built for these champions.